I have been on numerous offshore installations where our chefs whip out delicious meal after delicious meal, snacks after snacks and cakes after cakes. This carrot cake recipe you are about to watch here was given to me by one of the chefs on these offshore facilities. He makes the best cakes and breads, especially scented cakes like carrot cakes and unique breads like banana breads. He usually made this carrot cake with layers of frosting in-between but I recently watched a video where I got an idea to turn these delicious carrot cakes into cupcakes. I used avocado frosting as topping just because avocados are in season and I am trying to enjoy them as much as possible in so many different ways before they go out of season. 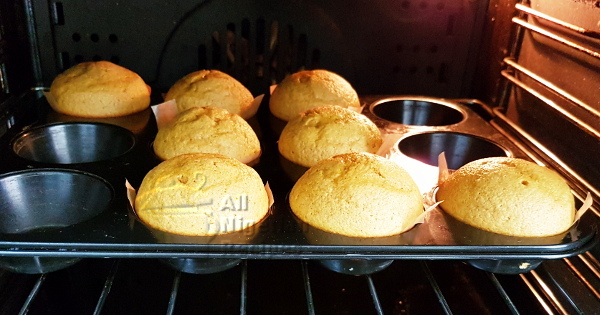 Hot, warm or cold, these carrot cakes are so moist and smell so nice you shold be making some right now! For 8 carrot cakes (with mounds), you will need. Brown sugar adds its unique taste to the carrot cake recipe but if you do not have brown sugar, use granulated sugar. If you do not have cinnamon, you can skip it but make sure that you use brown sugar else this carrot cake will not be tasty. If you are in Nigeria, use vegetable oil if you do not have sunflower oil. Peel, grate the carrots and put in a bowl. Set aside. Mix the flour, cinnamon, baking powder, salt and sugar in a bowl. Set aside. Add the vegetable oil to the grated carrots. Mix. Beat the eggs in a separate bowl and add to bowl of carrots. Pour into a blender and blend till smooth. While the blender is still running, start adding the dry ingredients bit by bit till everything is well combined. Bake in a preheated oven at 180C (350F) for 20 minutes. The carrot cake is ready when it is no longer rising and a wooden skewer comes out clean when inserted into the cake. 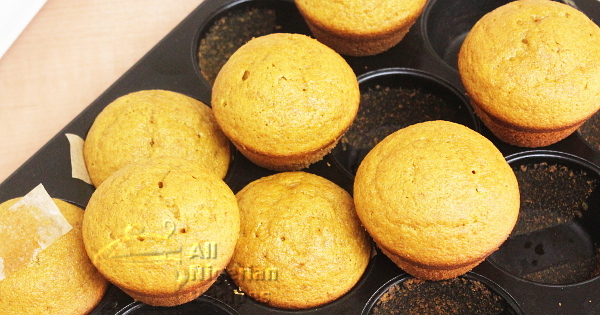 Bring it out of the oven and leave to cool down then remove from the muffin cups. Peel the avocado and cut into pieces. Place in a flat plate and mash with a fork. Mix with a hand mixer till very smooth. Start adding the icing sugar bit by bit and mix at the same time till you get a thickness you like for your frosting. It should be as thick as custard. Add 1-2 teaspoons of peal milk and mix with the hand mixer. The Peak Milk gives the avocado frosting a very smooth texture. When happy, scoop the avocado frosting into a piping bag and pipe onto the top of the cupcakes. Watch the video below to see how I made mine. Send me a feedback by clicking here.